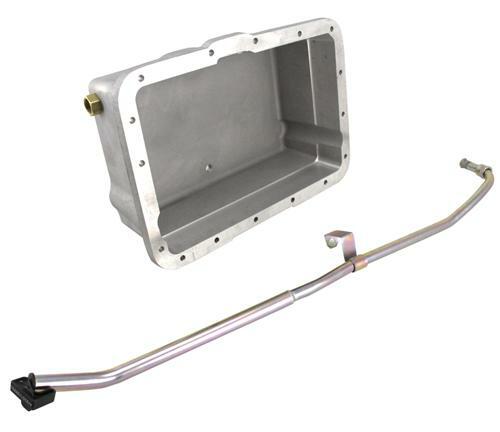 We no longer carry the 2005-10 Mustang Performance Automatic Deep Transmission Pan & Dipstick Kit for 5R55s Aluminum. Check out Mustang Transmission Dipstick & Tube for an updated selection. Get additional fluid capacity & cooler fluid temperature with an 05-10 Mustang deep transmiisoin pan and dipstick kit for 5R55S eqipped S197s. Performance Automatic of Gaithersburg Maryland proudly announces the release of their new deep aluminum pan for the Ford 5R55 N, S and W series transmissions. This transmission is the primary 5-speed rear wheel drive automatic for many vehicle lines including the Ford Explorer, Ranger, Lincoln LS and the 2005-2010 Mustang. 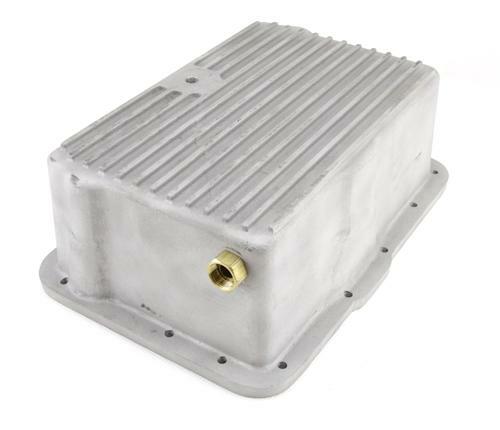 Cast from high strength aluminum alloy and increases fluid capacity by 4 quarts on the 5R55. It will hang roughly 1.5" -2" lower than the factory pan.This pan will also allow the use of Performance Automatic's new matching transmission filler tube and dipstick. This eliminates the need for a special tool as well as the messy and often incorrect factory fill procedure. Fluid level checks and refills can now be made under the hood, not under the car! NOTE: Deep pans do not require filter extensions for proper function. Leaving the filter in the stock location will keep the filter from sitting in any foreign debris that might be in the bottom of the pan.